I was getting ready for an interview recently, a follow-up phone call for a magazine piece profiling a semi-famous person. An entrepreneur who’d started off on the completely wrong foot before finding the right calling as a television personality, and on the way, happened to become a helluva great bartender. I love this kind of journalism. It’s real-life storytelling, all the messy and gorgeous stuff of human nature that reminds us it’s never really just the facts ma’am, it’s the facts behind the facts. How people do what they do, and what drives them to do it. The times of struggle and stagnation, and the innovation that follows. It’s the story of the Olympian and the visionary, and it’s just as much the story of the murderer and the spy. Real life is as crazy and rich as any fiction. At any rate, this is what my pre-interview notes look like (pic above). Sloppy, one freely associated thought leading to another, all needing to be written more neatly and put into sequence before I pick up the phone. These are the building blocks of the process, or at least my process. And it struck me that no matter how much I love technology — and oh do I, the convenience and connectedness, the smart phones and e-readers, the fitness apps and spreadsheets — the concrete thing always comes before the computed thing. First comes the spark, the action, the motivation. The legwork. Next comes the technology that organizes the action, bring the idea to fruition. Not too long ago, my recording of an interview somehow turned itself off mid-conversation, and I discovered I’d lost an hour of material. After returning to my car and pounding the steering wheel like a raging cartoon character, I sat down and wrote out the skeleton of our conversation, everything I could remember. 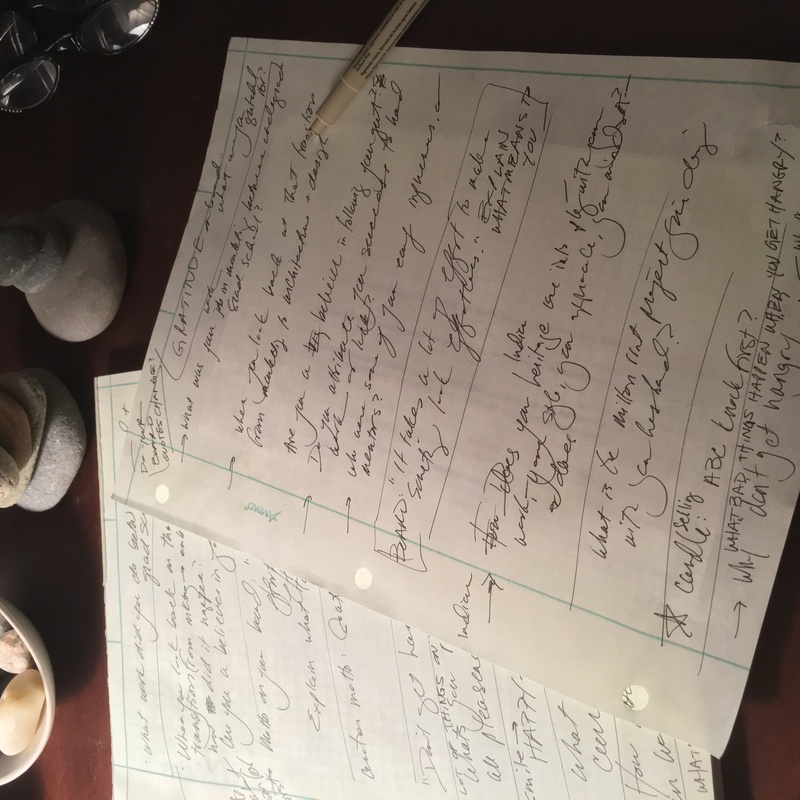 And then I set out to write around the lost interview, which is actually more laborious and creative than writing from an interview using quotes (which I could call back and get, later). The confidence gained from the legwork years made the loss much less of a big deal than it would have been, younger. Because in the end there are conveniences, but there are no real short cuts. No matter what kind of technology you have supporting you, you still have to germinate the idea, have the epiphany, put in the practice time, collect and interpret the facts, mix the drinks if you have to, to pay the rent. The technology helps us get where we need to go, no doubt about it. But when all else fails, there’s the scribbly paper. You’re the only one who can make the scribbles, and no battery fail can take that away from you. 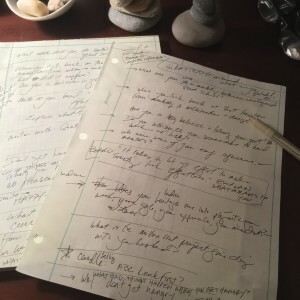 This entry was posted in On Learning, On the World, On Writing and tagged articles, innovation, journalism, magazines, nonfiction, notes, technology, writing. Bookmark the permalink.